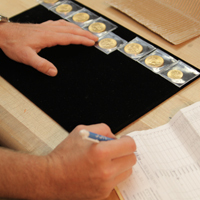 NGC's Receiving Department opens newly arrived packages sent for coin certification and grading each morning and immediately verifies that the number of coins in each package matches the number shown on the submission invoice. A more detailed comparison is then made to ensure that the descriptions by date, denomination and mintmark correspond to the actual coins. 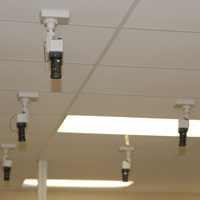 The receiving department, as well as every other area of NGC, is monitored by security cameras for ultimate protection and peace of mind.